Sheltered, an upcoming indie title developed by Unicube, has just released new information in regards to their new Kickstarter success project. Unicube hopes to deliver Sheltered by September, 2015. 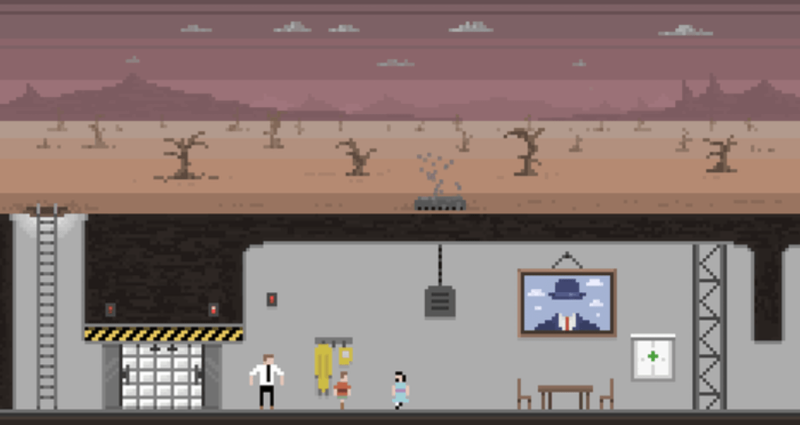 If you haven’t already heard, Sheltered is an 8-bit strategy game taking place in the post-apocalyptic world after a global nuclear holocaust. In this anarchic world, concepts of both life and family safety are dreary and difficult to preserve. 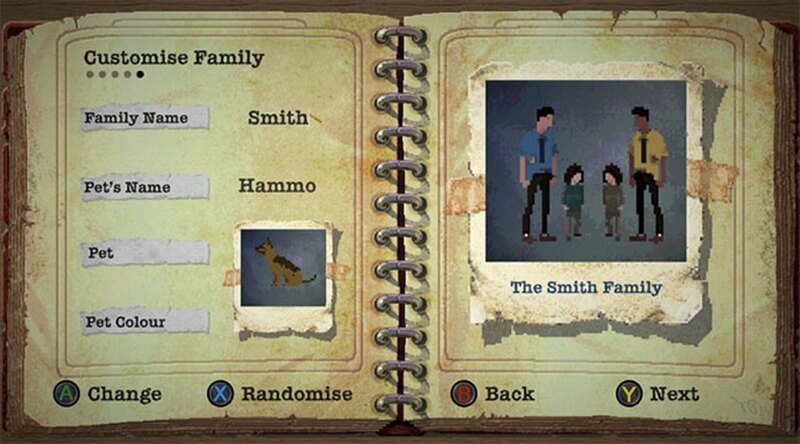 At the game’s beginning, players will be prompted to create a nuclear or non-nuclear family. Personal preference is free in this functionality, allowing players to choose from creating a traditional mother-father family or the less traditional father-father or mother-mother family. Socially progressive games? Yes please! One of the most unfortunate truths surrounding the events in Sheltered is that nothing lasts forever. Strategy is the name of the game in Sheltered, placing heavy significance on the analysis of a family member’s strengths and weakness when approaching enemies one-on-one. Before engaging in combat, players must assess the statistics of each player based on mental well-being, fatigue and sickness level. If you do lose in battle, your family will suffer, which will in turn affect your statistics per character. As your family explores gathering resources and scavenging for supplies, it is also up to the player to ensure that the family’s shelter is also protected. This includes daily maintenance and stock checking. If sustainability is not achieved, your shelter will become compromised and the possibility of exposing your family to radiation will increase. There are few titles that take on the atomic warfare, post-apocalyptic survival scenario —but when they do, we tend to love it. The premise of Sheltered is inherently intelligent. Combining the fearful tool of family security with the luring, global fear of nuclear warfare is brilliant. How many of us fear that one day proliferation will cease and the world will be destroyed? That thought combined with the obligation of keeping your loved ones safe will make this for an interesting playthrough, and I for one cannot wait to experience it for myself.